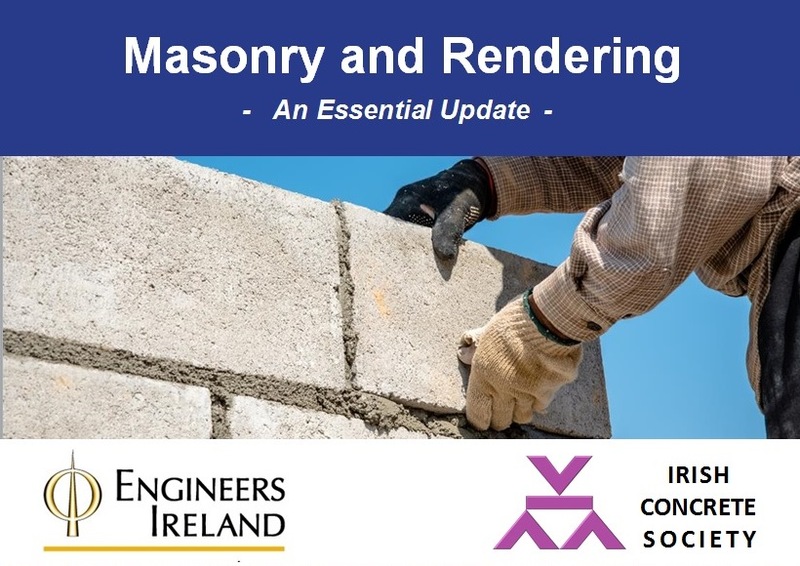 A joint Engineers Ireland and Irish Concrete Society technical seminar for all those involved in the design, specification and construction of low rise masonry construction. Masonry is a commonly used method of construction used in smaller scale projects in Ireland. From domestic homes, schools, nursing homes and smaller commercial units the flexibility of this method of construction is desirable. However, the successful delivery of masonry construction projects requires careful design, specification and execution. In this day-long seminar we will examine the principal standards and regulations involved in masonry design and construction and look at some of the key details to be considered. Event flyer can be vewied here. Booking via Engineers Ireland here.